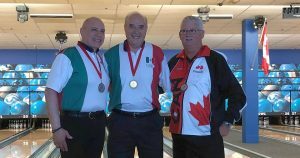 The senior women’s team and the super senior mixed team from Mexico and the senior Team USA men won the coveted gold medals in the four-player team events at the PABCON Senior & Super Senior Championships at bowling center Let’s Bowl in Calgary, Alberta, Canada, Thursday. 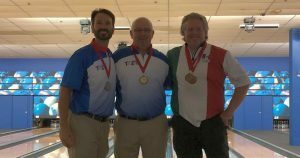 Bob Learn Jr., Lennie Boresch, Steve Badovinac and Warren Eales from the United States averaged 2220.29 as a team to win the gold medal in senior men’s team with 5287 total. The American foursome (center) started with games of 913 and 966 and never looked back. Badovinac led the way with 1423, Boresch had 1321, Learn 1307 and Eales 1236. 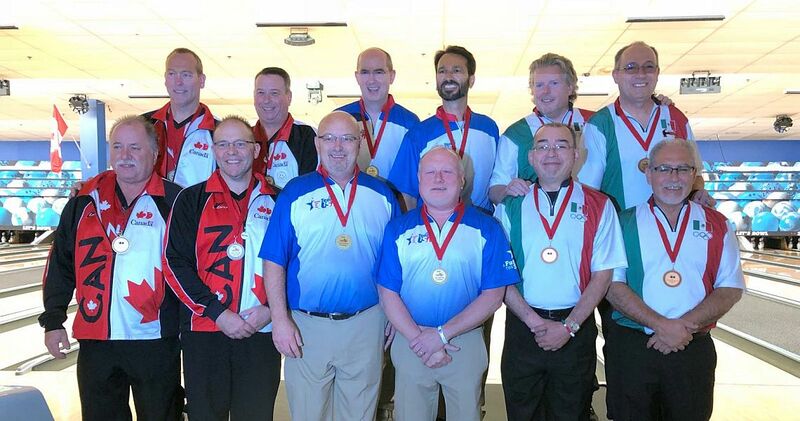 Defending champion Canada (left) was mere three pins behind the Americans after the first three-game block (2654 to 2651), but lost another 67 pins in the second block to take the silver medal with 5217. Bronze went to Mexico (right) with 5188. 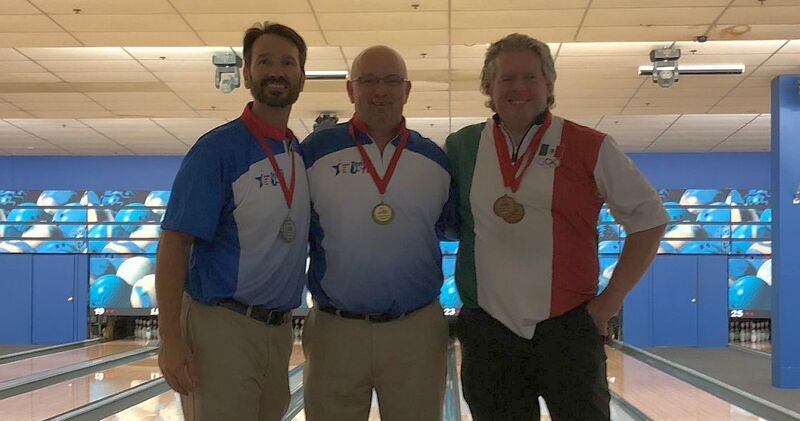 Lennie Boresch (middle) maintained a slim seven-pin lead in all-events (total pinfall in singles, doubles, trios and team event) to earn the gold medal with 5404 and an average of 225.17. Steve Badovinac (left) fell seven pins short to take the silver medal with 5397, as Salvador Suarez (right) of Mexico got bronze with 5353. 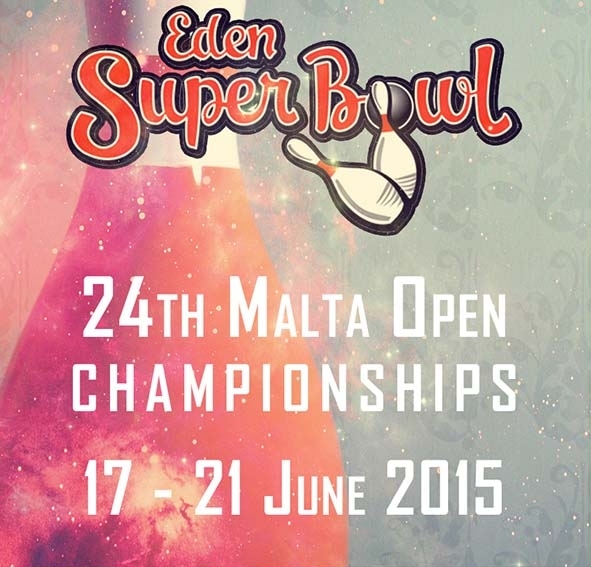 Boresch, Badovinac and Eales each have won three gold medal in this Championships so far. 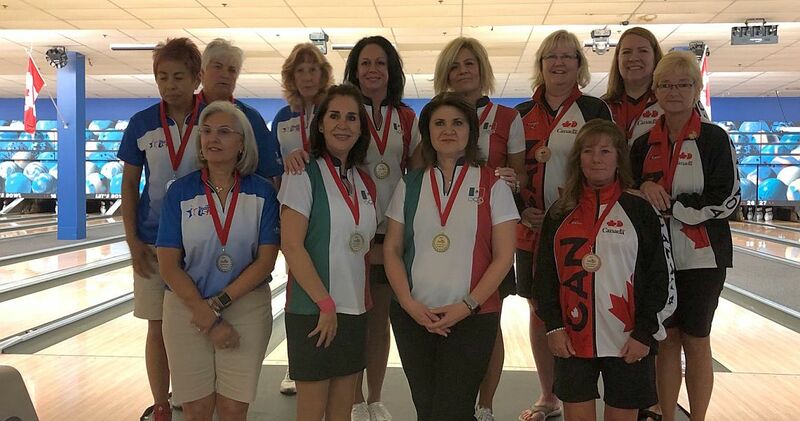 The senior women from Mexico (center) successfully defended their title as they defeated the favorites from the United States by 240 pins. Veronica Berumen, Margarita Ramos and Teresa Piccini, who were all on the winning team in Santo Domingo, Dominican Republic, in 2016 teamed with Maria Ruiz and cruised to the first gold medal for senior Team Mexico with 5006 and an average of 208.58. Piccini led the team with 1316 and was followed by Ramos (1264) Ruiz 1238) and Berumen (1188). 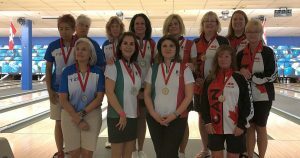 The U.S. senior women’s (left) team had to settle for the silver medal with distant 4766 (198.58 average). 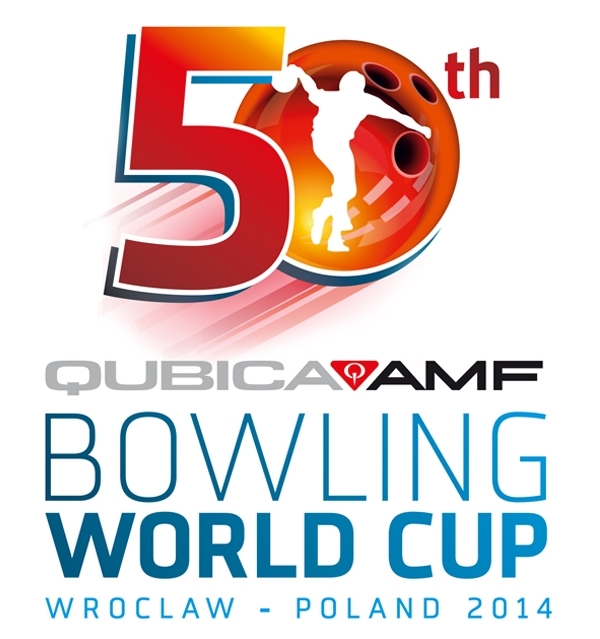 Canada (right) was further 348 pins back in third place with 4418. Sharon Powers and Tish Johnson, United States, swept the gold and silver medals in all-events. 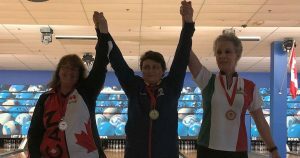 Powers won her second gold medal after trios with 4996 total and an average of 208.17 for 24 games. 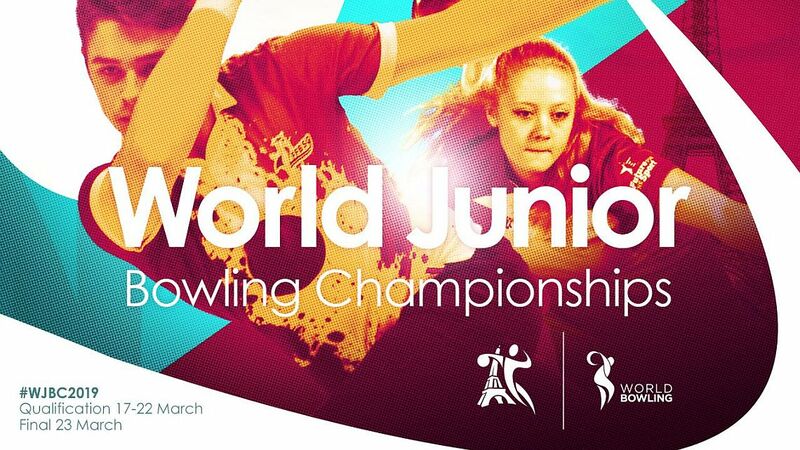 Johnson took silver with 4901 and Teresa Piccini secured the bronze medal with 4867. 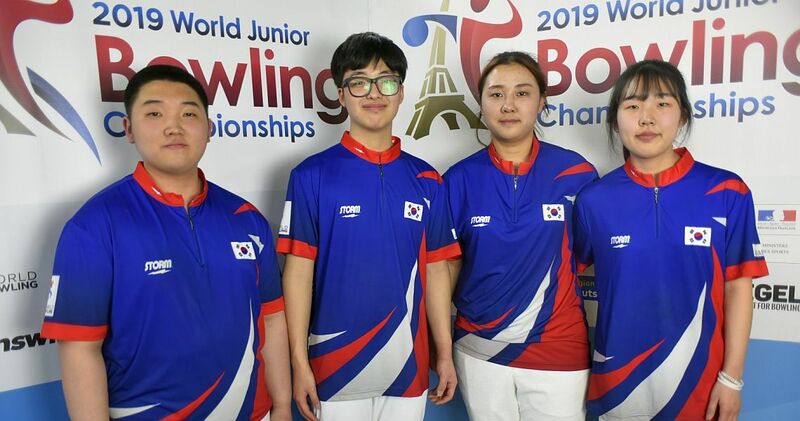 Alfonso Rodriguez, Isaac Amkie, Enriqueta Berra and Gloria Carrera of Mexico posted 4611, an average of 192.13, to capture the gold medal in the super senior mixed team event. 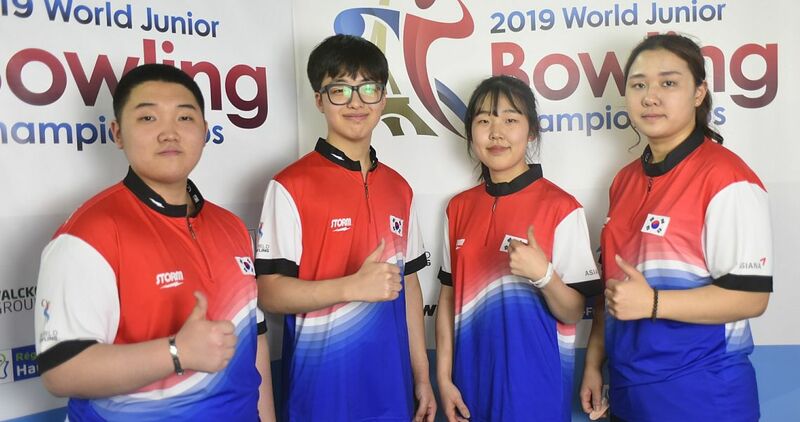 Rodriguez (middle), who led the team with 1330, wrapped up the gold medal in all-events with 5315 and an average of 221.46 for 24 games. Rodriguez has won four gold medals and one silver in five events so far. 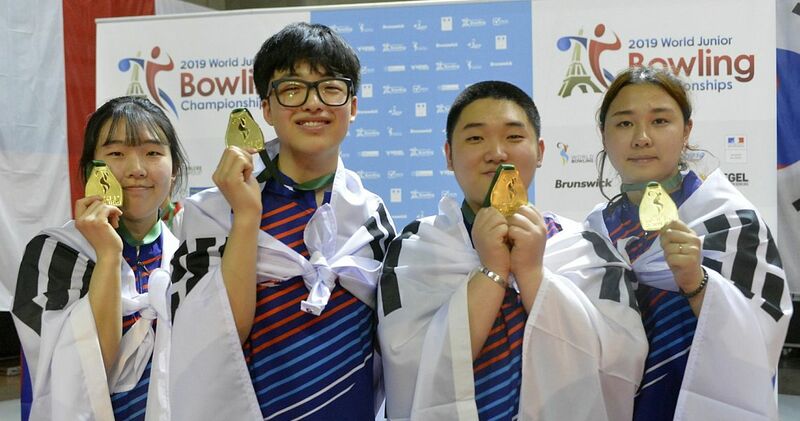 Amkie (left), who led the Mexican team with 1206, took the silver medal in all-events with 5060. 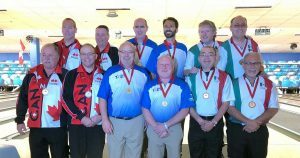 Canada was second with 4408, including an 1140 series by Jack Guay (right), who took the bronze medal in all-events with 4956. 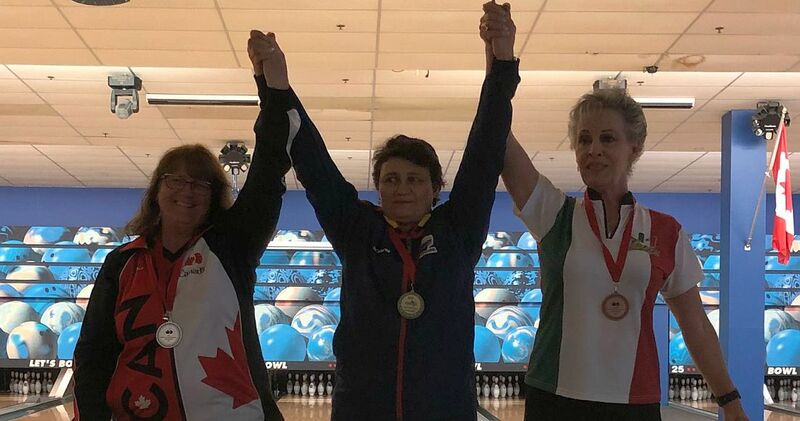 Ruth Vasquez (middle) won the first gold medal for Colombia in super senior women’s all-events with 4295 total and an average of 178.96. 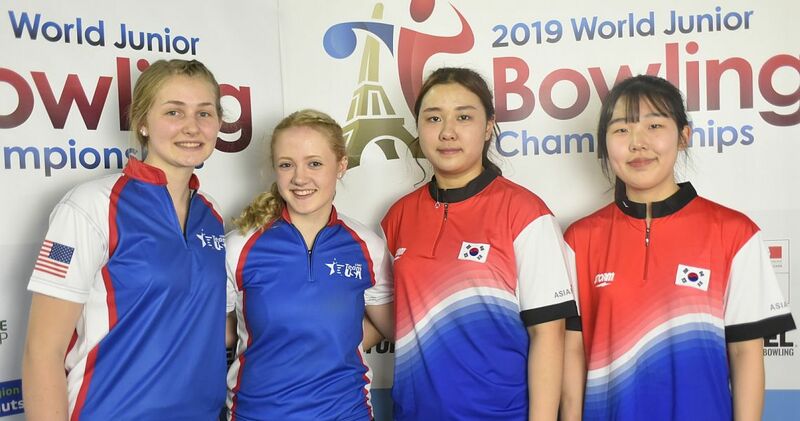 Doubles and mixed doubles champion Lauraine Fast (left) of Canada was second with 4282 and singles champion Enriqueta Berra (right) of Mexico got bronze with 4265. 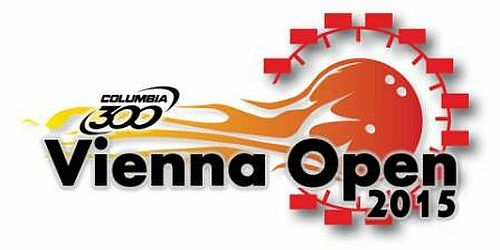 The top 16 men and women in senior all-events and the top 4 men and women in super senior all-events advanced to match play masters, which will conclude the Championships on Friday.